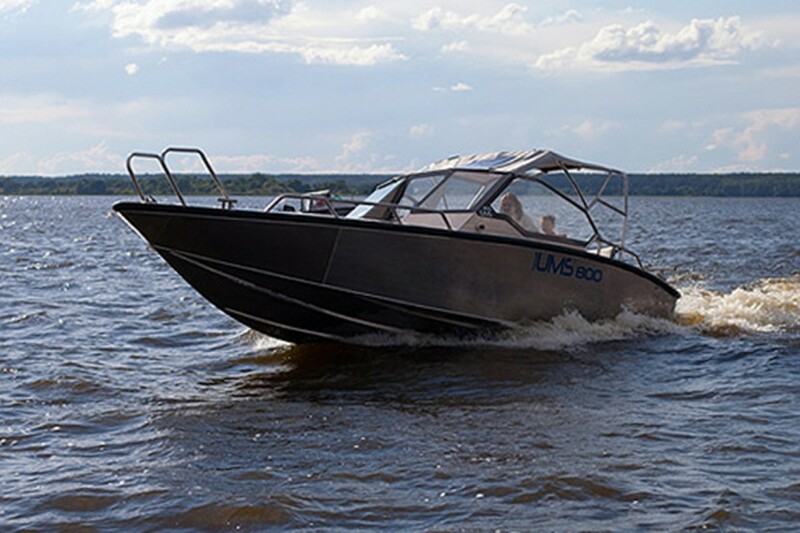 The UMS-800 is a high-speed boat. 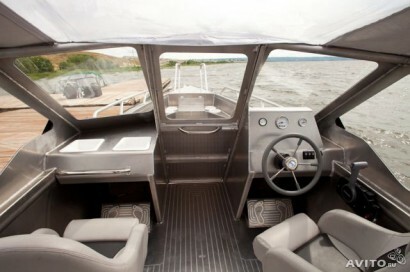 It is designed for use with an outboard engine with maximum power up to 350 h.p. Due to its unique structural characteristics, the boat is adapted to the toughest operating conditions. It is intended for lifeguards, water police and other services related to water expanses; as well as for anglers, hunters and people with active lifestyles. UMS company has used many years of the small craft construction experience at designing this boat. The UMS-800 comprises spacious cockpit and bow deck, comfortable stern platforms. Due to a high glazing, the cockpit is comfortable even during very windy conditions. The advanced reinforced arc allows mounting a variety of special equipment for fishing, active leisure, and other purposes. High seaworthiness, rich standard equipment, modern design, high passenger capacity, a hull practicality, favorable price compared to other European brands — all these benefits make this model in demand in regions with large water bodies and rivers.